The climate for organising a meeting or conference in the US has faced a challenging 18 months. As if the economic downturn wasn’t enough, the backlash against financial institutions and corporate play has made companies wary of organising high level get togethers for their management. All five-star hotel brands have been affected, and have reacted in different ways. Some have banded together to lobby the US government, pointing out the number of US citizens employed in the hospitality business, while other five and four star brands have reacted with drastic rate cuts. Some offer a free meeting package if you book a certain number of rooms, while others offer rooms for next to nothing if you book the meetings package. The Setai, unashamedly (according to its sales and marketing director Philippe Parodi) the most expensive and luxurious property in Miami, has taken another approach: targeted promotions, and the promise of absolute anonymity for those organising meetings at its property. 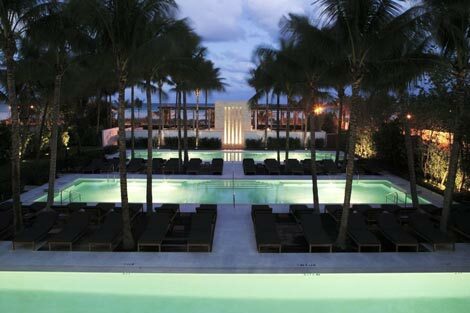 The hotel, part of the Asian GHM group, is like a slice of Asia in the heart of South Beach, with a ceremonial style entrance, and a courtyard with pools reflecting subtle lighting in the evenings (although these pools can be covered over for fashion-style events if a catwalk is needed). 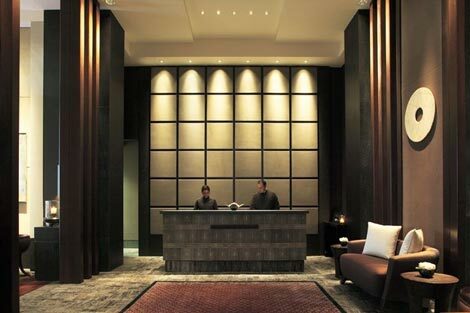 The hotel has 85 rooms and 45 suites, with the suites in an exclusive 40-storey tower behind an art deco building set on Collins Avenue at 20th Street. The hotel is popular with UK visitors (with some 30 per cent of its repeat guests coming from the UK), and a total proportion of international guests at 60-68 per cent depending on season, but has little group business. ‘Meetings Incognito’ has been designed to ensure that business meetings remain low-key. The hotel can establish code names for groups, and register high profile guests under an alias, as well as avoiding the use of any literature or ‘signage’ of companies around the hotel. Meetings organisers can also have the use of a shredder for all documents, and all the meeting areas have either the option of complete seclusion, or privacy screens allowing meetings and dining to be kept completely secret. 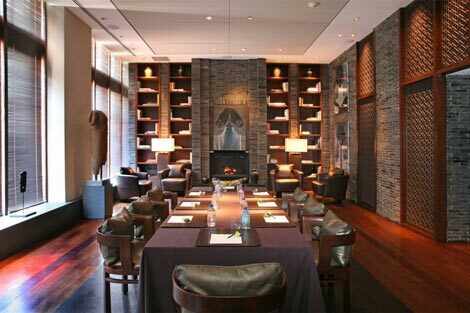 There is a choice of several meeting venues including The Library (pictured), bordered with classic literature and authentic artwork from Asia, or The Terrace which overlooks The Courtyard. In between meetings, guests can enjoy a range of amenities including three pools set at distinctive temperatures (75, 85 and 95 degrees Fahrenheit) and a beach concierge who comes with complimentary iPods and tanning lotions. In the rooms, Dux beds help sleep, while Lavazzo espresso machines help waking up. For more information visit setai.com.